Summer is finally here, and like many families, you might be gearing up for an annual family vacation. 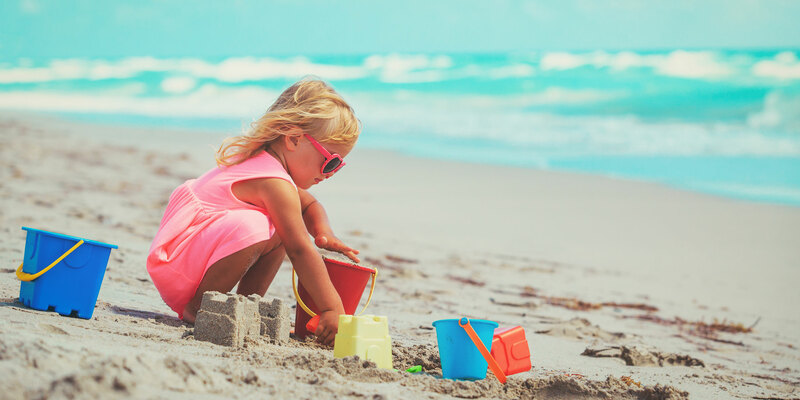 As you begin to put together your packing list of the necessities, you’re probably thinking about toys for your children—specifically, pool or beach toys that can keep your kiddos occupied—but are small enough to throw in your suitcase. We took a look at the coolest beach and pool toys available this year and assembled a list for your next pre-trip shopping spree. Stock up on a few of these to surprise the kids on your summer vacation. These are the best pool and beach toys you can pack. Many parents are concerned about buying cheap plastic toys that get broken, lost or left behind at the beach. In fact, some communities offer beach toy lending programs in an effort to get plastic out of the ocean. For example, the Navarre Beach Sea Turtle Conservation Center in Navarre, Florida, has a “borrow bin” available for donation and lending. 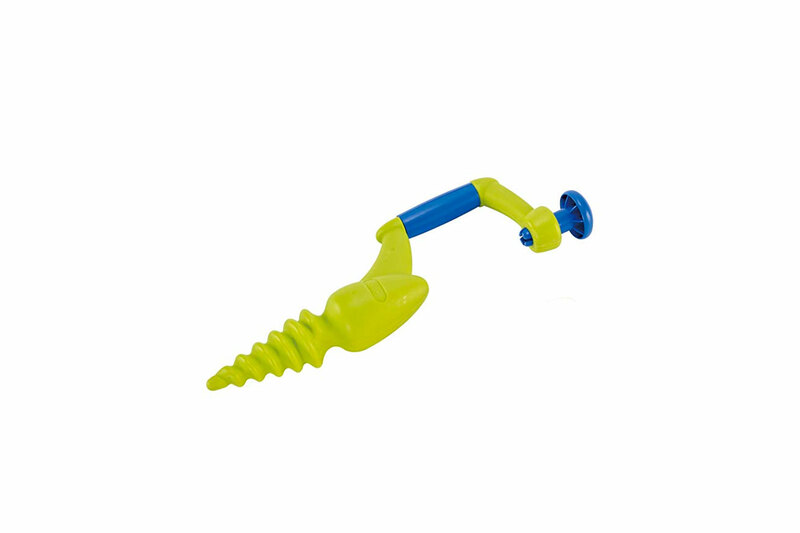 But if you want to invest in some higher quality beach toys that last for several years, check out Green Toys, which are made in the U.S. out of recycled plastic. 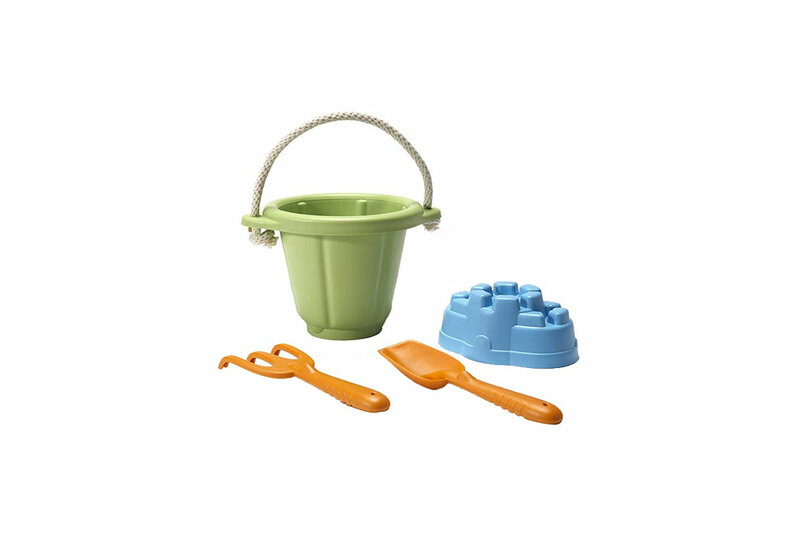 For ages 18 months and older, they offer both a traditional beach set and a truck set. “We’ve had their sand toy set since my son was a toddler (about five years) and it’s still in great condition,” one mom friend told us. If your kids love to play with dolls, but you’re worried about the water factor, check out Corolle’s Bath Dolls. 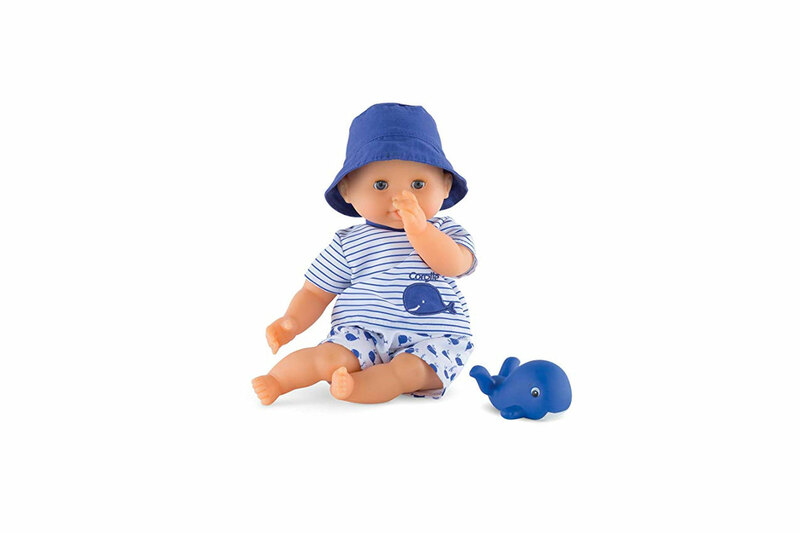 Made for ages 2 and up and available in different ethnicities, these dolls can be brought to the pool, bath or beach. The dolls are designed and styled in France and made with a lightly vanilla-scented vinyl material. There’s a tab for hanging up the doll to dry after your swim. 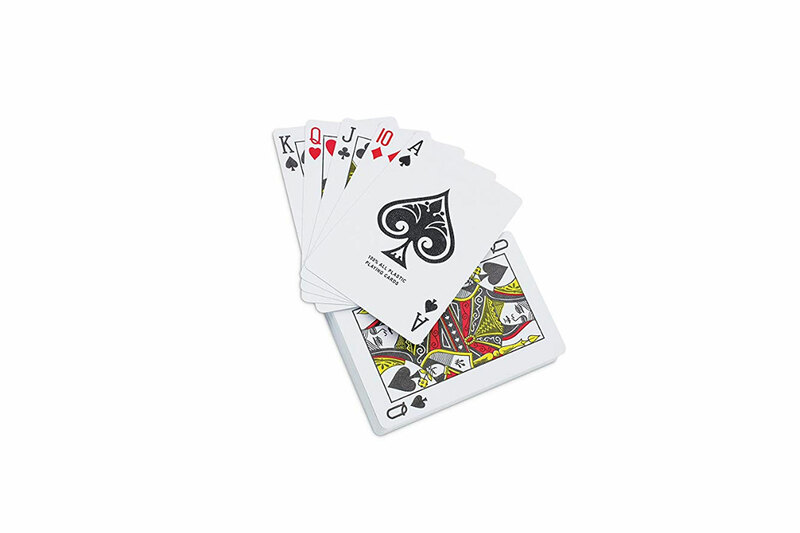 For older kids (and fans of Go Fish), consider picking up a pack of Kovot Waterprooft Playing Cards for your day at the beach or pool. These are easy to pack and won’t get ruined by sand, saltwater or chlorine. Bonus: they get your kids involved with a non-electronic family activity, and you can use them year-round. Sometimes the best toys are the simplest designs. 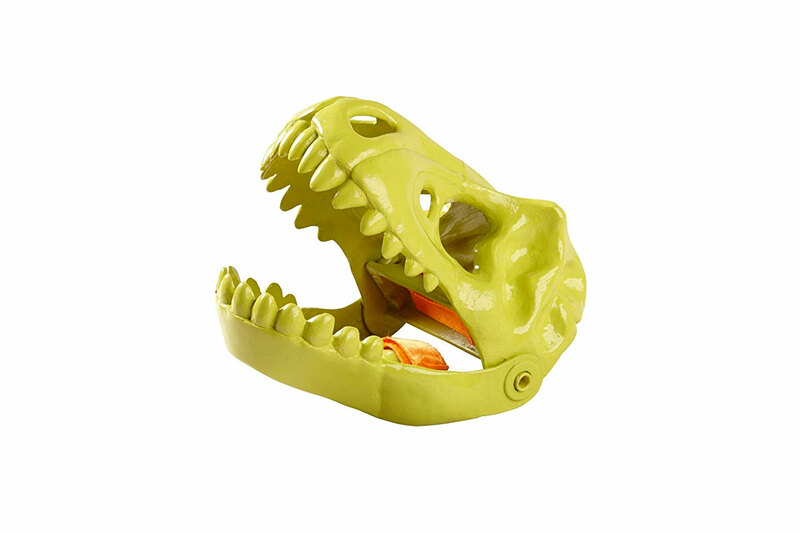 The HABA Dinosaur Hand Glove, which fits over your hand and can chomp the sand, provides hours of entertainment at the beach—“a must,” according to some parents of budding paleontologists. Is there any better beach toy than a kite? We think not. This cheerful octopus design kite is frameless, which means there’s not a lot of fussing required to get it up in the air—the manufacturer says just two minutes to get it flying—and it folds up in a nice compact bag for packing. For that kid who’s still convinced she can dig to China, why not provide her with this beach drill? The simple design helps kids with motor skills while making holes in the sand (and what kid doesn’t love to do that?). This innovative diving toy is next-level creative fun. 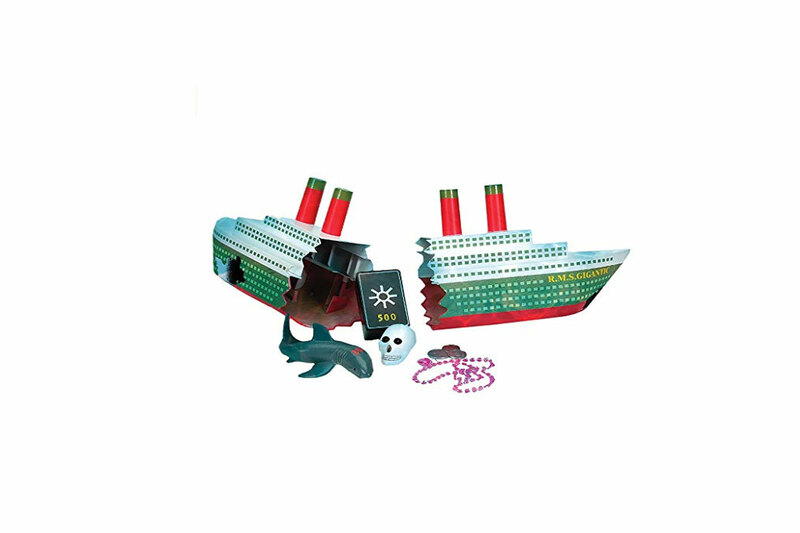 Kids and adults alike enjoy the mystery of exploring a shipwreck, and this toy allows them to explore a miniature one at the bottom of a pool. Simply put it together and watch it break apart and sink to the bottom. Then don a pair of swim goggles, dive under and uncover the treasures waiting below. At least one customer called this the “best toy in the world.” Excuse us while we add one to our shopping cart. 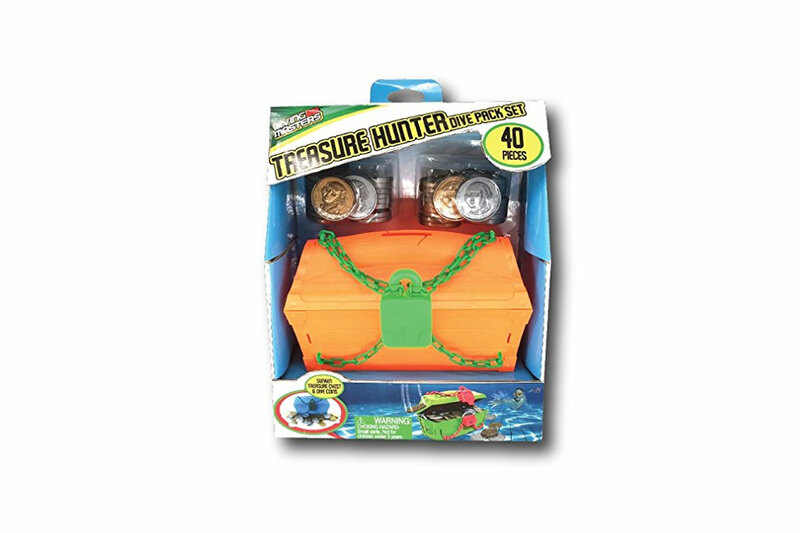 To complement your shipwreck toy, check out this 40-piece treasure chest set, which sinks to the bottom of a pool and challenges swimmers to crack the lock and recover the treasure hidden inside. This works for multiple ages, too—it’s a hit with younger kids, who love playing with it on land or at the beach. There’s also a simpler version from Melissa & Doug that’s great for youngsters. 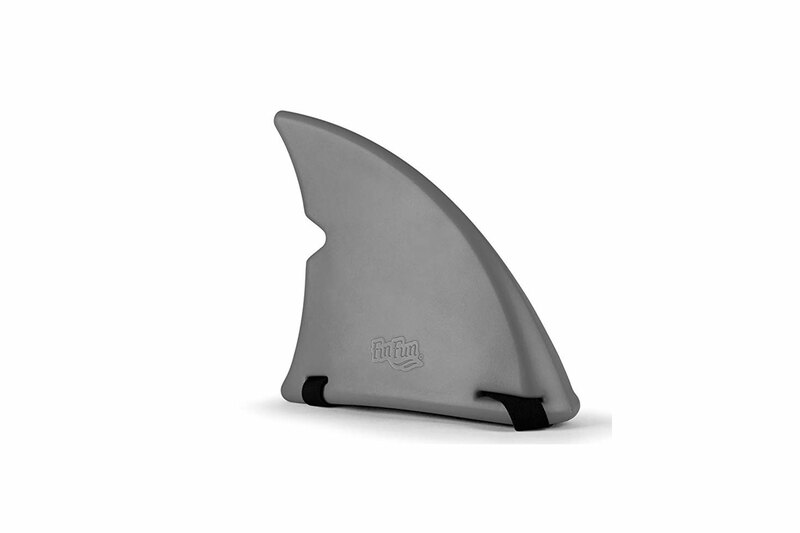 The ultimate pretend accessory, strap the Fin Fun Shark Fin onto your little swimmer’s back and have them pretend to be a shark on the hunt for its next meal. Note that this toy isn’t a flotation device and should only be used on strong swimmers. Calling all pirates! This pool toy is such a cool invention, it’ll make you sad it wasn’t around when you were a kid. 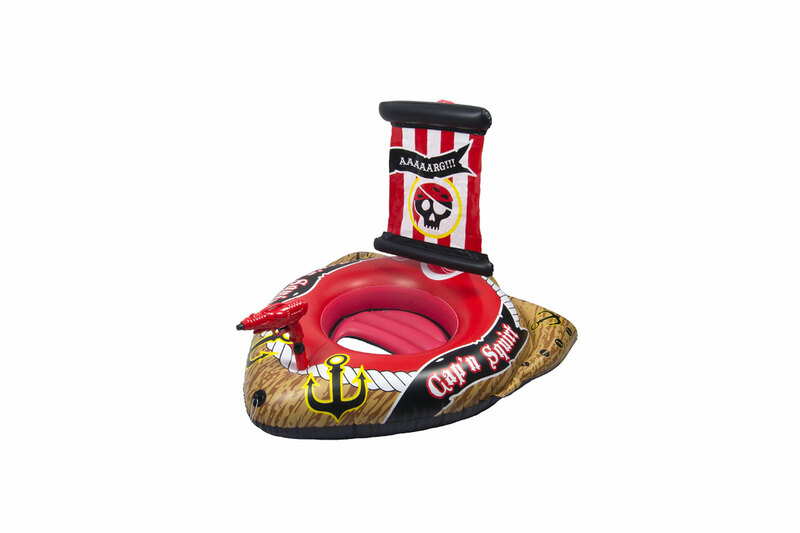 This pretend pirate ship float is tricked out with a pirate flag and a mounted squirt gun, which means your little swashbucklers can totally seek revenge on those scallywags in the deep end. Only disadvantages are that it might be a tad large for traveling – and you’ll need some strong lungs (or an air pump) to inflate it.